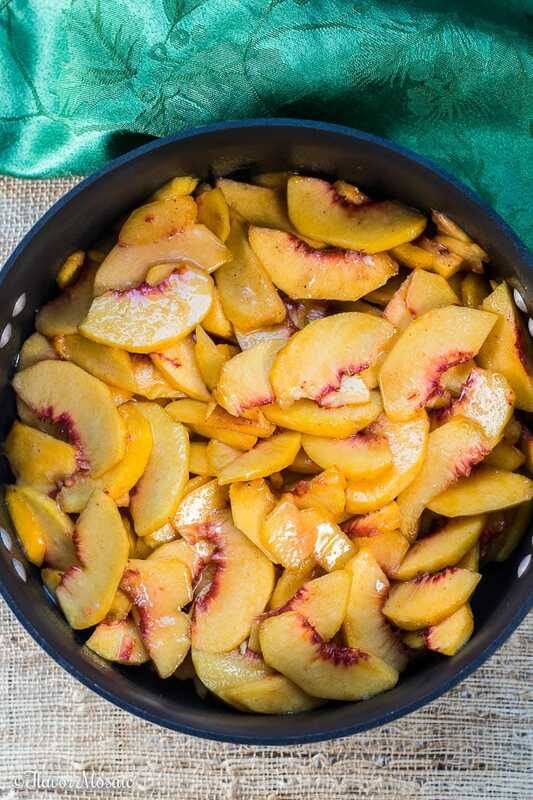 This Dutch Oven Peach Cobbler recipe, made with juicy fresh peaches, is deliciously sweet, hot and bubbly, and can be made over a campfire or in your oven at home. There is nothing better than sweet, juicy fresh peaches in the summer that are bursting with flavor. 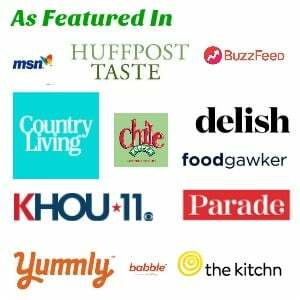 They make the best fruit desserts and one of my favorite summer recipes. 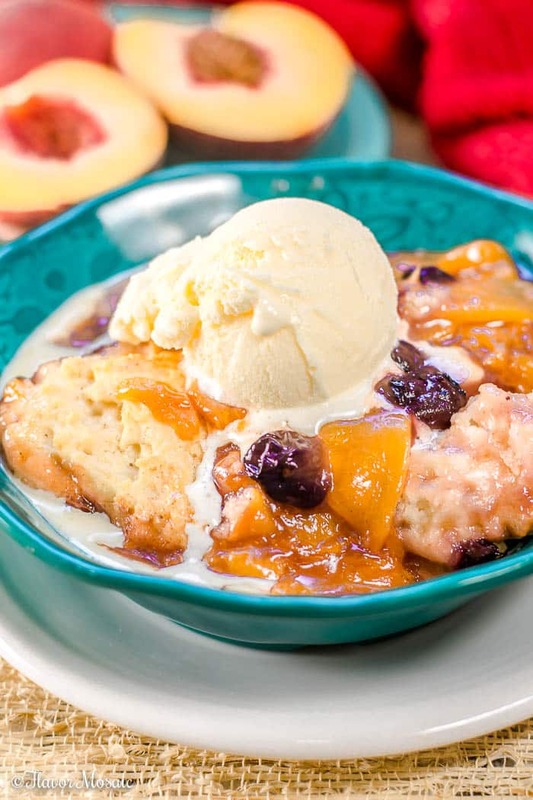 In my opinion, there is no better recipe to make with fresh peaches than peach cobbler. It is my favorite of all the peach recipes. This Dutch Oven Peach Cobbler recipe is easy to make whether it is cooked on a camping trip over a campfire or in the oven at home. When I was growing up we had a peach tree in our backyard. However, we rarely ever got to taste the peaches from that tree. It was not because the peach tree didn’t grow peaches. It was quite prolific with lots of peaches. The reason we didn’t have peaches from the peach tree was because of our labrador retriever named Louie. Louie loved tennis balls and to him, peaches looked like tennis balls and tasted even better. So Louie thought he had his own tennis ball tree. He was a big dog and would jump up and grab a peach in his mouth and play with the peach. So we had half-eaten peaches all over the backyard and no peaches on the peach tree! This recipe should work well with fresh peaches, so long as you don’t have a dog named Louie. 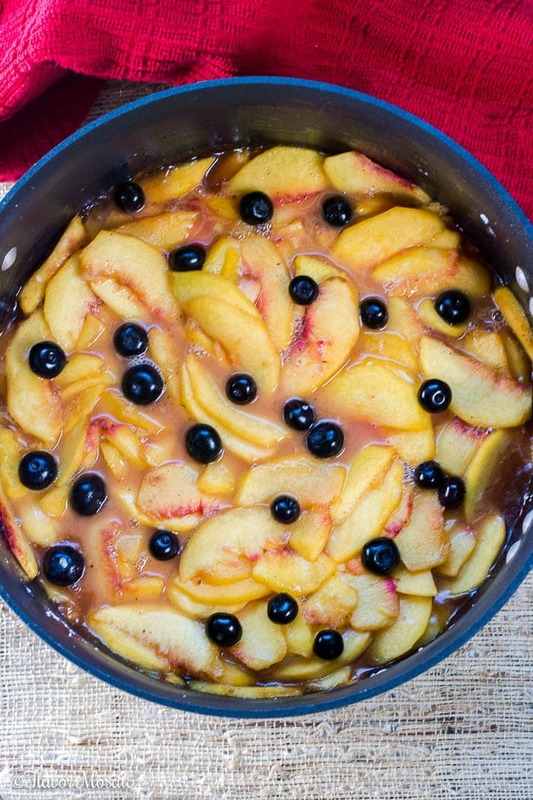 Can I Bake A Dutch Oven Peach Cobbler In The Oven? There is just something about an old-fashioned homemade peach cobbler than reminds me of my childhood summers down South. I always looked forward to peach cobbler over the campfire when we went camping. 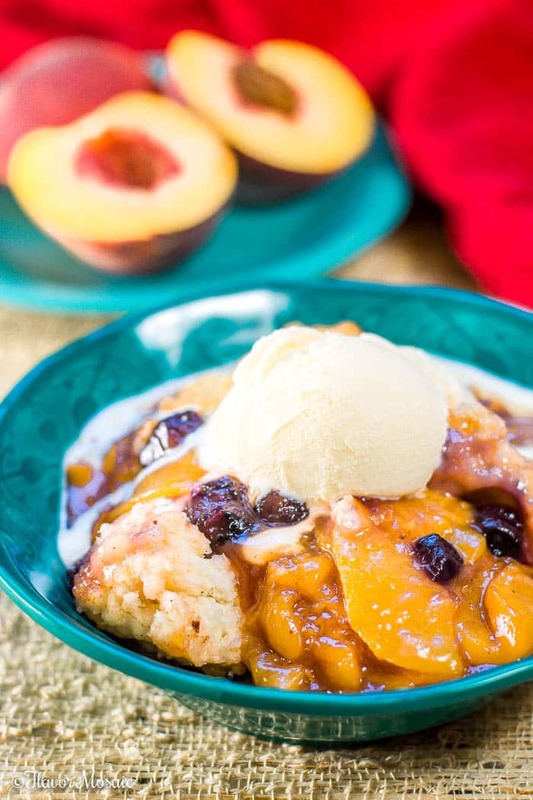 However, you don’t have to go camping to enjoy this Dutch Oven Peach Cobbler, you can enjoy all that sweet bubbly goodness right at home by cooking the peach cobbler in your oven. Hey, if you want to pretend that you are camping, go for it! Make it fun! If you are camping, then you must make this Dutch Oven Peach Cobbler. I would love to claim that it is healthy, but it is not. If you are looking for a healthier option, then trying grilling peaches as I did in my recipe, Grilled Peaches with Yogurt and Granola. 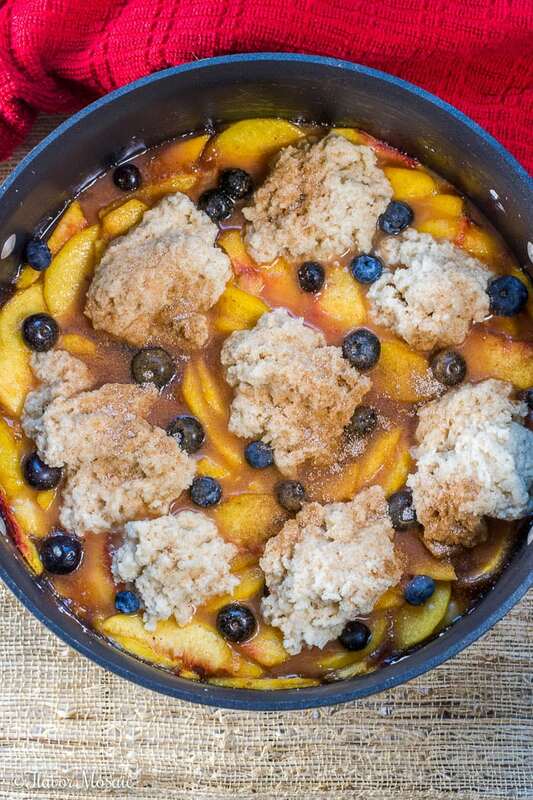 What Kind Of Peaches To Use In This Dutch Oven Peach Cobbler? Yes, you could use canned or frozen peaches instead of fresh peaches to make it an easy peach cobbler recipe, like Paula Deen’s recipe, but if you have fresh peaches, use them. Just make sure they are ripe and juicy. 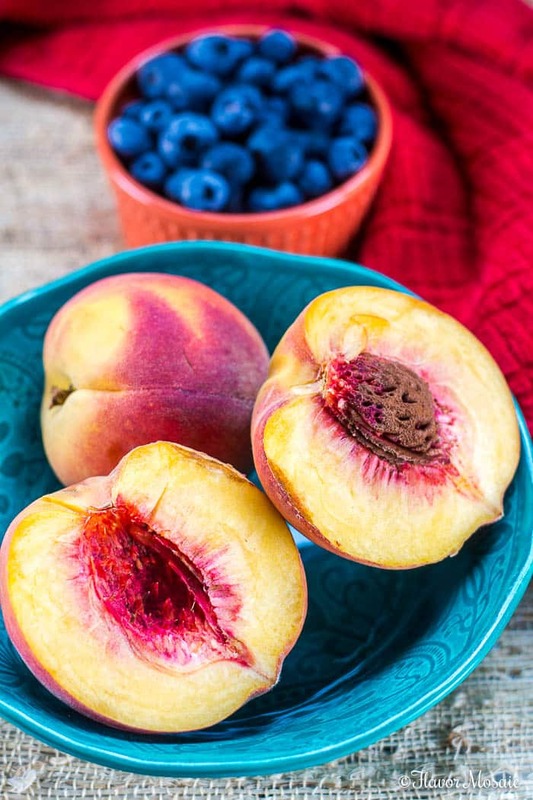 How Do I Know If Fresh Peaches Are Ripe? Give the peach a gentle squeeze. If it is firm, it is not ripe. However, if it gives a little, then it is ripe. Just be sure not to squeeze too hard or you could bruise the peach. 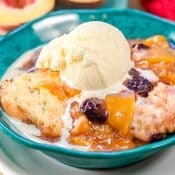 This particular peach cobbler recipe was adapted from both Paula Deen’s Dutch Oven Peach Cobbler and the AllRecipes.com. 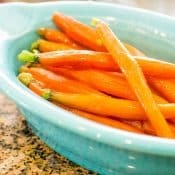 How Do I Make Dutch Oven Peach Cobbler? First of all, get a Dutch oven to use for baking. If you don’t have one, don’t worry. 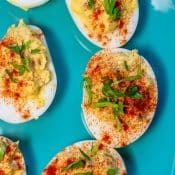 You can use a 9 x 13 pan instead. Peel and slice the fresh peaches. Don’t slice the peaches too thin. Instead, slice the peaches in rather thick slices. If the peaches are sliced too thin, then they cook down too much and become mushy and lose their shape. 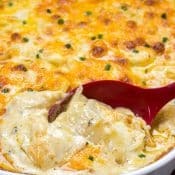 How Do I Make The Peach Cobbler Filling? Add the peaches to the Dutch Oven and then add the sugar, cinnamon, nutmeg, and cornstarch and stir. Add a few blueberries for color and sweetness. 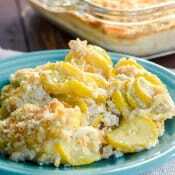 How Do I Make The Topping for the Peach Cobbler? 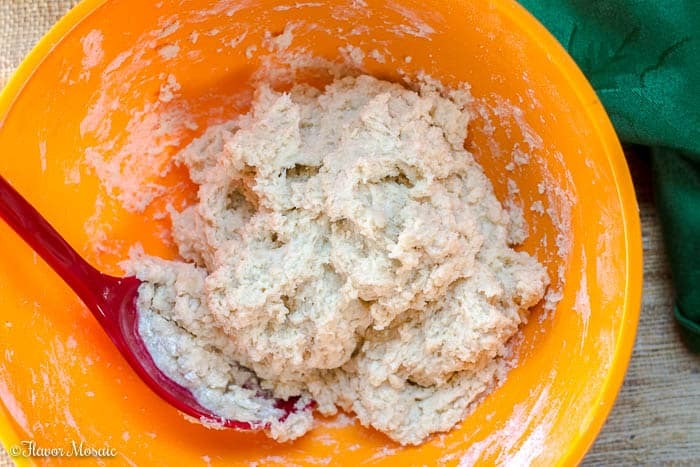 Some people make a Bisquick or Cake Mix topping, but this one is made from scratch. 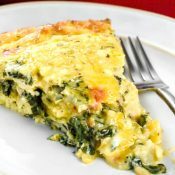 In a medium bowl, combine all-purpose flour, baking powder, salt, sugar, melted butter, and milk. Then drop spoonfuls of batter on top of the peach cobbler filling. How Long Do I Bake a Dutch Oven Peach Cobbler? Times may vary from oven to oven. However, in general bake for 45 minutes or until the topping is a light golden brown and if you stick a toothpick in the middle of the topping (not filling) it should come out clean. How Do I Cook the Dutch Oven Peach Cobbler Over a Camp Fire? Prepare the fire. Arrange the coals in a circle and place the dutch oven on top. Pile coals on top of the lid of the Dutch oven. To increase heat add more coals, to decrease heat remove some coals. Lift the lid and check the peach cobbler about every 10 minutes to see if you need to increase or decrease the heat. 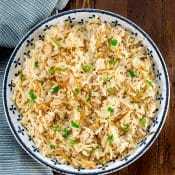 Cook for up to 45 minutes. How To Serve Dutch Oven Peach Cobbler? The sweet, fresh peaches are what makes this dish. 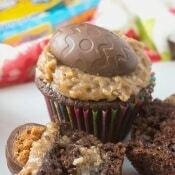 I highly recommend topping it with ice cream just before serving. There is nothing better than ice cream dripping down onto the peaches and biscuit topping. I hope this Dutch Oven Peach Cobbler brings back wonderful memories for you and creates new memories for you and your family. Add the blueberries for color and sweetness. Mix 2 tablespoons sugar with 1/2 teaspoon cinnamon in a small bowl. Spoon over the top of the peach cobbler. 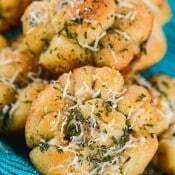 Bake in a preheated oven for 45 minutes.